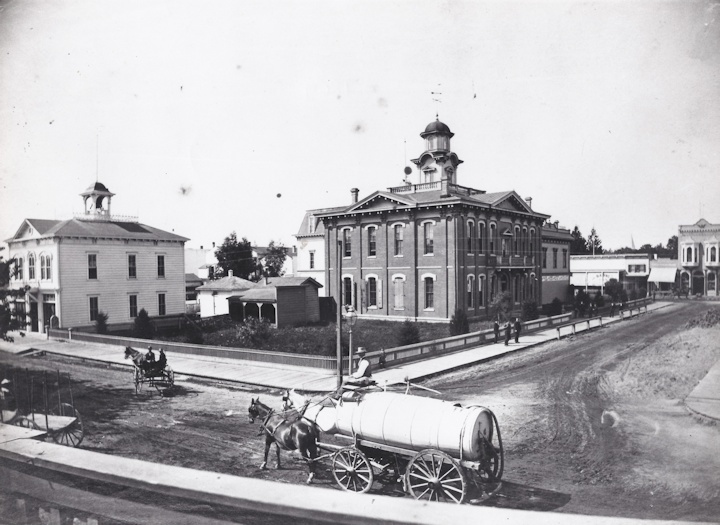 The original Santa Cruz County Courthouse. This is pre-Cooper House pre-Octagon hall of Records and pre-Lulu Carpenter’s Cooper Street!! It’s of course Front Street and Cooper, circa 1867. Note the organic streets and no visible trash anywhere!!!? DOROTHY DANDRIDGE AND THE NICOLAS BROTHERS, AND EVEN GLEN MILLER! Who will you vote for, McPherson or Hammer? Will you allow a Walmart or another Whole Foods in Santa Cruz? Do You agree with what happened at La Bahia, Arana Gulch, and theCoast Hotel? Do you Support the Warriors $5.4 million dollar basketball arena? Do you want a de-sal plant here? Is widening Highway 1 a good idea? Don’t let them sneak out of answers by saying “studies must be done”, “we must look into that”, “it’s too early to make a statement”, as candidates they must have platforms and statements and most importantly solid positions on all of above. Go get ‘em!! LOU HARRISON STATUE ON HIGHWAY ONE!!! This is the best idea I’ve had in hours…you know that monolith remainder of the La Fondabridge that still stands in the middle of Highway One?? Lets commission a local sculptor to create a statute of Lou Harrison to put on top of it!! Don’t snicker…just think for a minute. Here’s Lou Harrison, world famed composer with out any tribute or recognition from his hometown. Not one greedy developer has even named a street, a cul-de-sac after Lou. No Santa Cruz City Councilmember has ever suggested such a thing, neither has Aptos or its Chamber of Commerce said anything about honoring Lou. Lets get together and think about that. Have you heard any statements from Aptos Safeway about naming any of its monstrous plotting after Lou? The answer is nope!!! FLUORIDE AND PORTLAND AND SAN JOSE. From Monday’s New York Times… it’s the same story that our backwater town goes through. Notice how it says, “In Portland, Ore., the largest American city not fluoridating its water , a decision involves questions of personal choice and societal burden”. It also tells how the City of San Jose voted to fluoridate its water last year!!! Best Labor Day Picnic Ever! Noticeably missing were County Treasurer Fred (who?) Keeley and 5thDistrict Supervisor candidate (ex-Republican and recently turned into an “independent” Bruce Mc Pherson, recently endorsed by Mr. Keeley. Could they both have been “out of town”? (Paul Elerick is co-chair, along with Peter Scott, of the Campaign for Sensible Transportation, http://sensibletransportation.org , and is a member of Nisene 2 Sea, a group of open space advocates). VINTAGE DE CINZO. 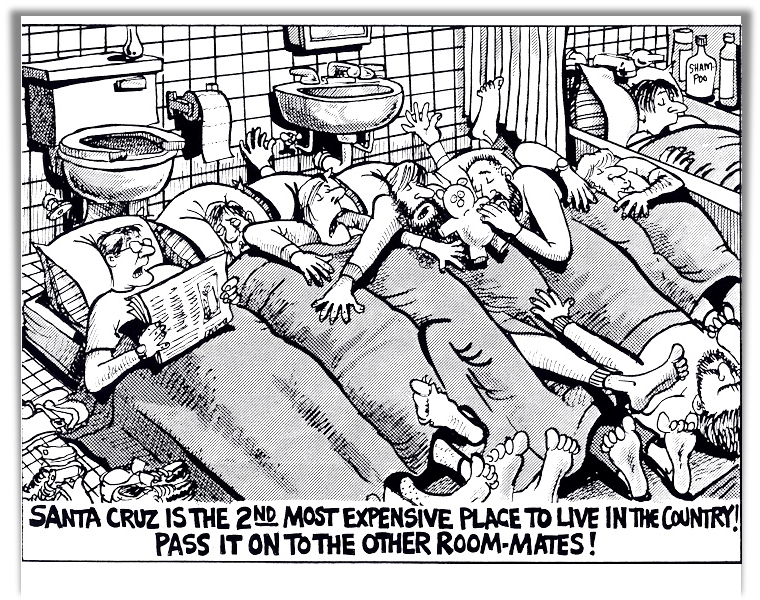 DeCinzo show he cares about UCSC students returning to Santa Cruz. See downwards about 3 pages.. FOREVER 21. How did we ever do without Forever 21 on Pacific Ave??? Funny picture sent in from Pomeroy Audio of Brooklyn, N.Y.
LANDAU’S PROGRES. Saul Landau has problems with the election…Read “Think About Life Under President Romney Shudder” The biggest and most dangerous distortion, however, comes with his casting of corporations as “people… Of course they are. Everything corporations earn ultimately goes to people. Where do you think it goes?” (Aug. 11, 2011) At Bain, he amassed some $250 million by piling debt onto U.S. companies, and then leeching huge fees from those companies, as payment for his advice: either fire workers or move their jobs to Asia. He chose Paul Ryan as his Vice, a self-righteous liar with whom he plans to destroy Medicare under the banner of saving it. 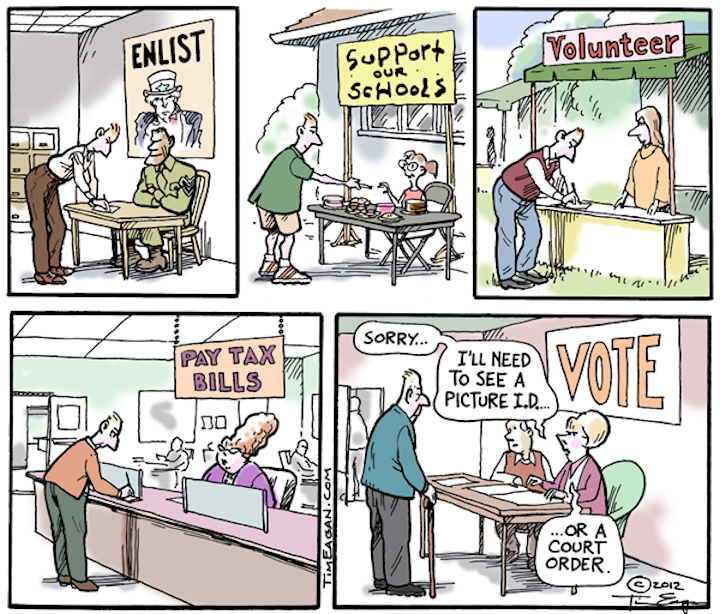 (See Paul Krugman’s “The Medicare Killers, NY Times August 31.) He backed the two foolish wars of George W. Bush, for which the U.S. borrowed money and increased the deficit. 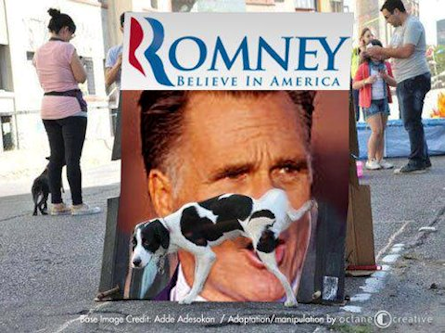 Now, Romney blames Obama for the economy-in-free-fall he inherited from Bush, and the recession reaching across the world. Only memory will destroy Republican chances in November, so keep your recollections clear and at hand. LISA JENSEN LINKS. “The Fall Arts season in Santa Cruz is officially under way! This week at Lisa Jensen Online Express (http://ljo-express.blogspot.com/), get ready for a royal smackdown at Jewel Theatre Company’s ambitious season opener, Mary Stuart. Also, big book news from another local novelist (not me), and how you can help her out.” Lisa Jensen has been writing film reviews and a column for Good Times since 1975. SAMSARA. If you loved Koyaanisquatsi, Baraka, and Chronos, you’ll love this one. No words, just a 70 mm travelogue shown in brilliant digital screening at the Del Mar. Like any good documentary it gives you lots to think about. IF you are an optimist you’ll leave this film wildly enthusiastic about life If you’re a pessimist…guess what? Go see it just fir the sheer beauty. SLEEPWALK WITH ME. Complex, worth seeing, worth thinking about. A would be comic played by director Mike Birbiglia makes us think about our roles in life. Quirky, off beat, imaginative, unique. Go for it!! THE WORDS. Starring Bradley Cooper, Jeremy Irons, Dennis Quaid, Olivia Wilde and Zoë Saldana. Because 41st Avenue had a power failure on Saturday I had to see 4/5 of this film twice.The odd thing is that I liked it more than every critic in the USA and most of the Rotten Tomatoes people too. It is cerebral, and only a little corny and far fetched at the end, and you must like “chick flicks” which I do…so go see it and let me know what you thought. It’s about writers, and their inner lives. COLD LIGHT OF DAY. Bruce Willis and Sigourney Weaver play dull predictable roles in this piece of junk. It’s a government secret plot that happens in Spain. Sigourney Weaver has never, never been worse…Do Not Attend!! BRANDED. I’ve liked Leelee Sobieski ever since Stanley Kubrick’s Eyes Wide Shut but she and Max Von Sydow should be ashamed to have been cast in this other piece of junk. It could have been a contender because it centers on all the corporations controlling what we think by modifying our food…don’t see this one either. UNIVERSAL GRAPEVINE. Each and every Tuesday from 7:00-8:00 p.m. I host Universal Grapevine on KZSC 88.1 fm. or on your computer (live only, or sometimes old programs are archived…(see next paragraph) and go to WWW.KZSC.ORG. Julie James from The Jewel Theatre Company will talk about their new season and Jim Stearns will discuss his book “Feeding The (Grateful) Dead” on Sept.11.Mireya Gomez will talk about the Day Worker Center in Live Oak on Sept. 18, then Angelo Grova and Tina Brown return to dish details on their fashionART show. On Sept. 25th Scott Griffin, Nickelodeon chief operating manager discusses films, digital releases and local movie tastes followed by Jim Emdy from KUSP. He and I will talk about the many area opera season’s. OCTOBER 2nd means the Bi-annual KZSC Pledge Drivewith County Supervisor John Leopold repeating as special guest co-host.Cathy Pickerrell from Santa Cruz Chamber Players will provide season news on October 9th , then David Foster discusses the newly opened Re-Storeproject. October 16th Grapevine has Catherine Segurson and Rebecca Goldman talking about The Catamaran Literary Reader then RichardPopchak discusses The Ventana Wilderness alliance. UNIVERSAL GRAPEVINE ARCHIVES. In case you missed some of the great people I’ve interviewed in the last 5 years here’s a chronological list of just this year’s podcasts. Click here http://kzsc.org/blog/tag/universal-grapevinethen tap on “listen here” to hear any or all of them… all over again. The update includes Nikki Silva, Michael Warren, Tom Noddy, Anita Monga, Mark Wainer, Judy Johnson-Darrow, Wendy Mayer-Lochtefeld, Rachel Goodman, George Newell, Tubten Pende, Gina Marie Hayes, Rebecca Ronay-Hazleton, Miriam Ellis, Deb Mc Arthur, The Great Morgani on Street performing, Paul Whitworth on Krapps Last Tape. Jodi McGraw on Sandhills,Bruce Daniels on area water problems. Mike Pappas on the Olive Connection,Sandy Lydon on County History. Paul Johnston on political organizing, Rick Longinotti on De-Sal. Dan Haifley on Monterey Bay Sanctuary, Dan Harderon Santa Cruz City Museum. Sara Wilbourne on Santa Cruz Ballet Theatre.Brian Spencer on SEE Theatre Co. Paula Kenyon and Karen Massaro on MAH and Big Creek Pottery. Carolyn Burke on Edith Piaf. Peggy Dolgenoson Cruzio. Julie James on Jewel Theatre Conpany. Then there’s Pat Matejcekon environment, Nancy Abrams and Joel Primack on the Universe plus Nina Simon from MAH, Rob Slawinski, Gary Bascou, Judge Paul Burdick, John Brown Childs, Ellen Kimmel, Don Williams, Kinan Valdez, Ellen Murtha, John Leopold, Karen Kefauver, Chip Lord, Judy Bouley, Rob Sean Wilson, Ann Simonton, Lori Rivera, Sayaka Yabuki, Chris Kinney, Celiaand Peter Scott, Chris Krohn, David Swanger, Chelsea Juarez…and that’s just since January 2011. Hear them all!!! QUOTES. “I am you, you are me, what are we doing to each other?”,Chicago Seed. “Hell is Other People“, John Paul Sartre. “If I were dead I couldn’t attract a female fly”, Richard Brautigan.